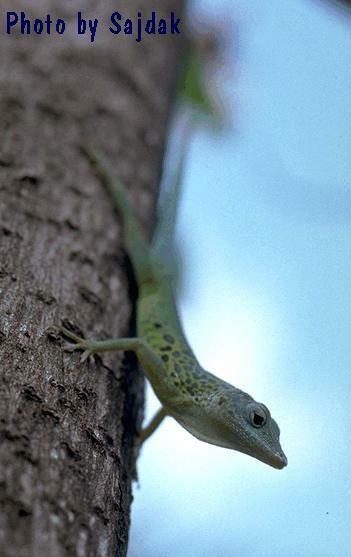 Can you confirm these amateur observations of Anolis marmoratus? 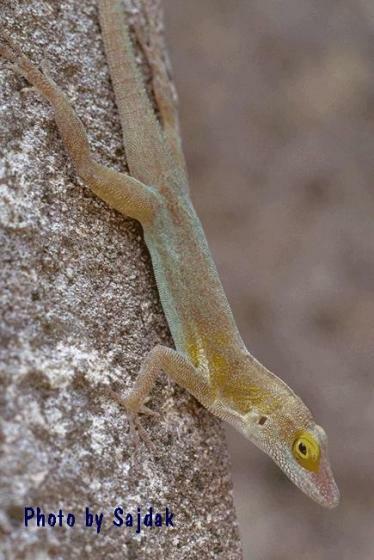 marmoratus: Guadeloupe: plain of Capesterre in southeastern Basse-Terre; intergrades with A. m. alliaceus, A. m. girafus, and A. m. speciosus. alliaceus: central highlands in the Basse-Terre portion of Guadeloupe; intergrades with A. m. girafus, A. m. setosus, and A. m. speciosus. caryae: Terre-de-Bas, Îles des Saintes; intergrades with A. m. terraealtae; introduced at Cayenne, Guiane Française. girafus: leeward coast of Basse-Terre portion of Guadeloupe, from vicinity of Malendure and adjacent Ilets de Pigeon, south to Ballif; intergrades with A. m. setosus. inornatus: northern Grande-Terre; Ilet Macou; intergrades with A. m. speciosus. setosus northern coast of Basse-Terre portion of Guadeloupe from vicinity of Deshaies to Ste.-Rose; intergrades with A. m. speciosus. speciosus: southwestern portion of Grande-Terre portion of Guadeloupe, onto isthmus connecting Grande-Terre and Basse-Terre; Ilet du Cochons, Ilet du Gosier, Ilet Christophe. Introduced to French Guiana (HOOGMOED, pers. comm.). Type locality: Martinique (in error); revised to Capesterre on the Basse-Terreportion of Guadeloupe by Lazell, 1964. 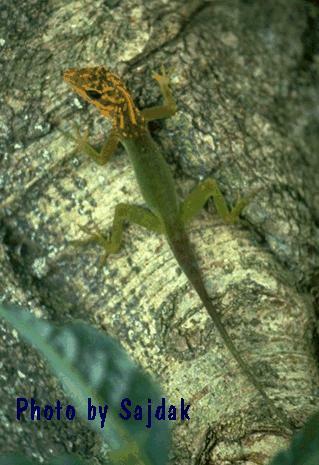 Comment Subspecies: Anolis marmoratus ferreus, terraealtae, chrysops, desiradei, and kahouannensis are now considered a valid species. Breuil, H. 2002. 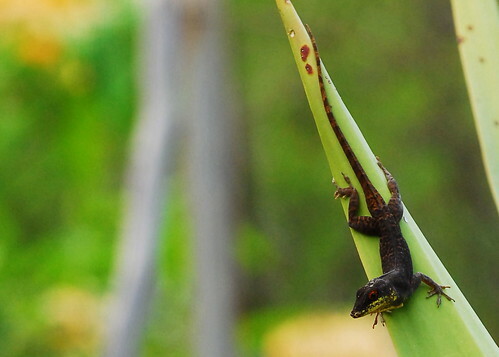 Histoire Naturelle des Amphibiens et Reptiles de l’Archipel Guadeloupéen: Guadeloupe, Saint-Martin, Saint-Barthélemy. Patrimoines naturels 54: 339 pp.